Federal regulators ordered JPMorgan on Monday to improve its money-laundering prevention and risk management in the aftermath of its $6 billion trading loss last year. In parallel actions, the Federal Reserve and the Office of the Comptroller of the Currency each issued a pair of orders against the bank. The first set of orders calls for JPMorgan (JPM) to improve its risk management and internal auditing, singling out the bank's Chief Investment Office for particular criticism. Last year, JPMorgan revealed that it had sustained massive losses as a result of a bad bet by the Chief Investment Office related to credit derivatives. The bet was so large that the trader said to be responsible earned the nickname "the London Whale." The losses eventually swelled to more than $6 billion, stoking renewed concerns about the stability of the nation's largest banks. JPMorgan previously said it has recordings, emails and other documents that suggest traders may have been hiding the losses. "The bank's risk and other controls failed, and reporting was not adequate," the OCC said. In the second set of orders, regulators called on JPMorgan to reform its anti-money laundering controls, including its customer due diligence and its monitoring system for suspicious activity. JPMorgan will not face fines as part of Monday's actions. The bank consented to the orders without admitting or denying wrongdoing. "We have already made progress addressing the issues cited in the consent orders, which contain no allegations of intentional misconduct by the firm or any of its employees," JPMorgan spokesman Joe Evangelisti said in an email. 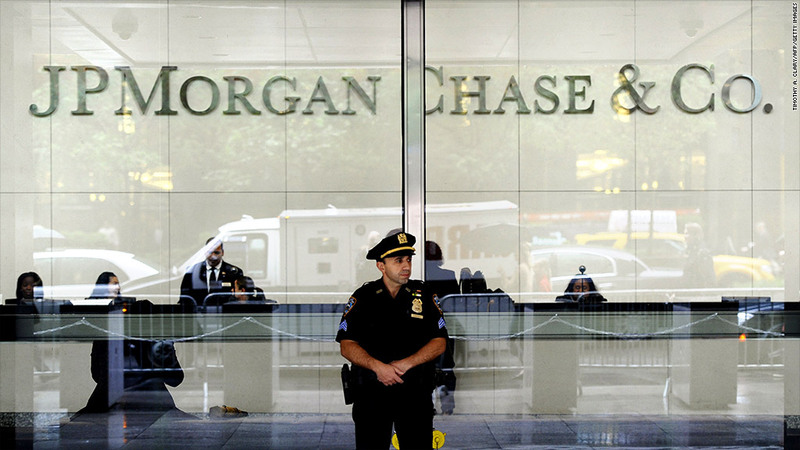 JPMorgan is the latest in a series of banks to face scrutiny from the government over money-laundering issues. Last month, federal officials announced a record $1.9 billion money-laundering settlement with HSBC (HBC). Dutch bank ING paid $619 million as part of a similar settlement in June. As for the London Whale loss, this may not be the last JPMorgan hears from the government. The bank said in November that other agencies -- including the Department of Justice and the Securities and Exchange Commission -- were also investigating the matter. CNNMoney's Catherine Tymkiw contributed reporting.